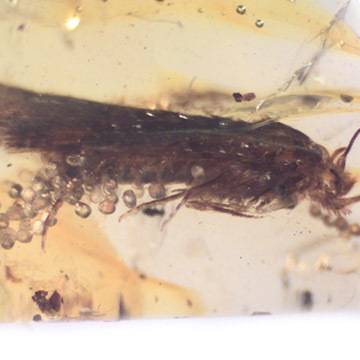 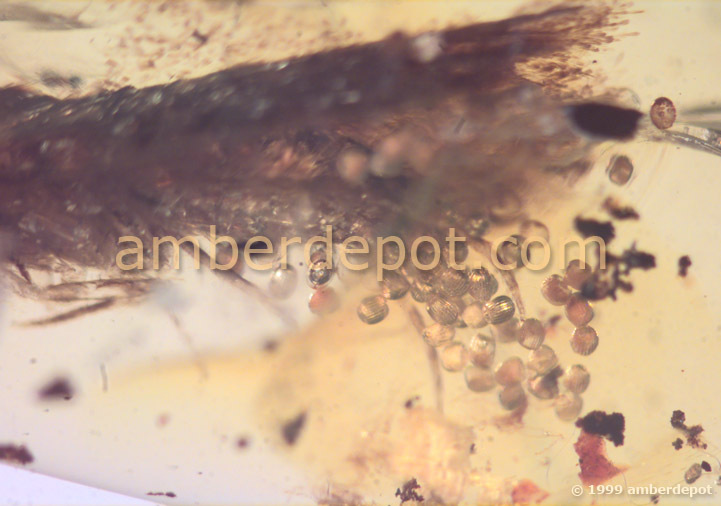 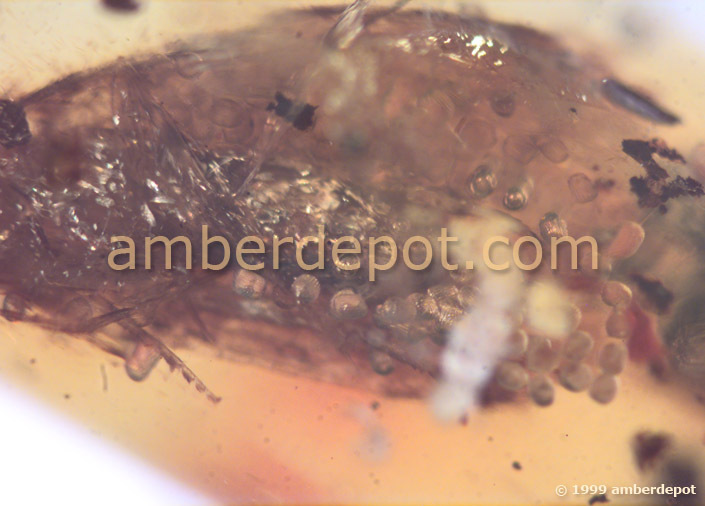 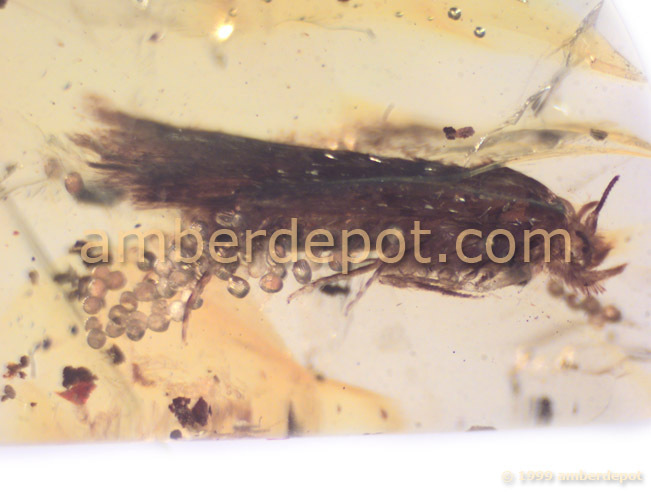 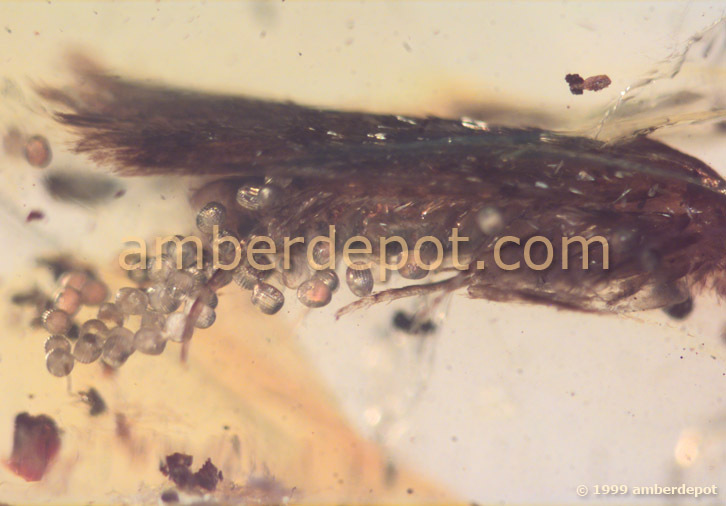 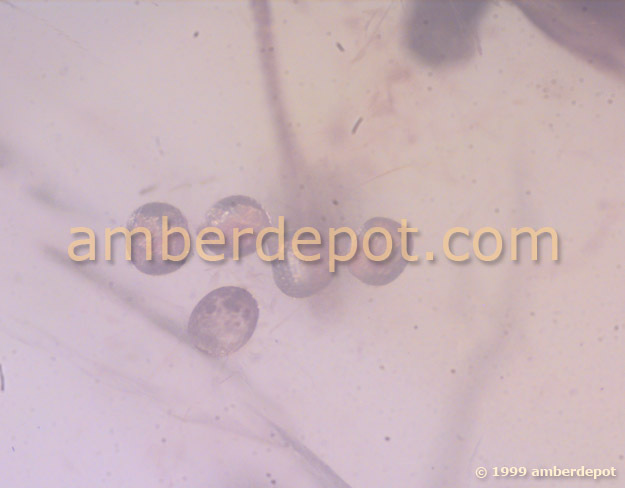 RARE CADDISFLY WITH BUNCH OF EGGS IN DOMINICAN AMBER (with printed photo size: 1.5" Square). 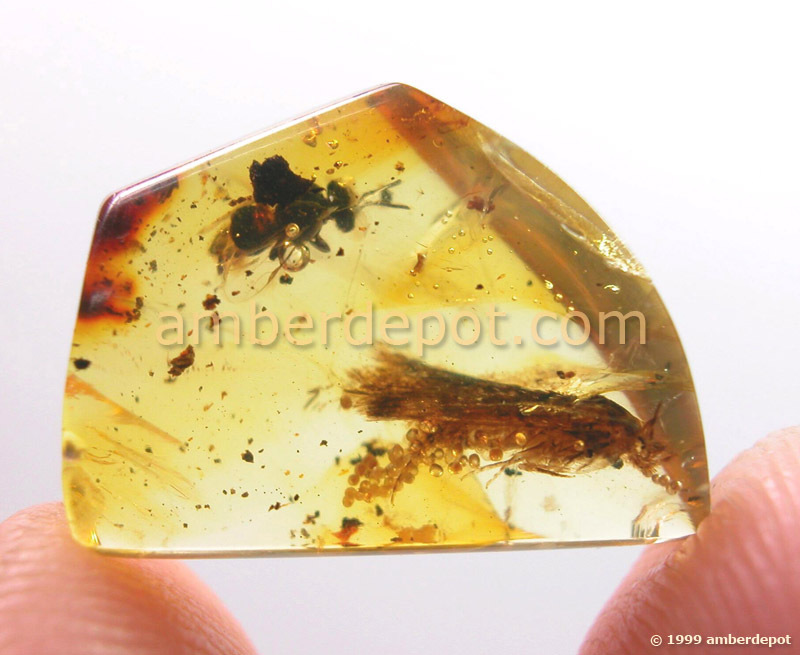 Insect Size: 8mm, Stone Size (Max. 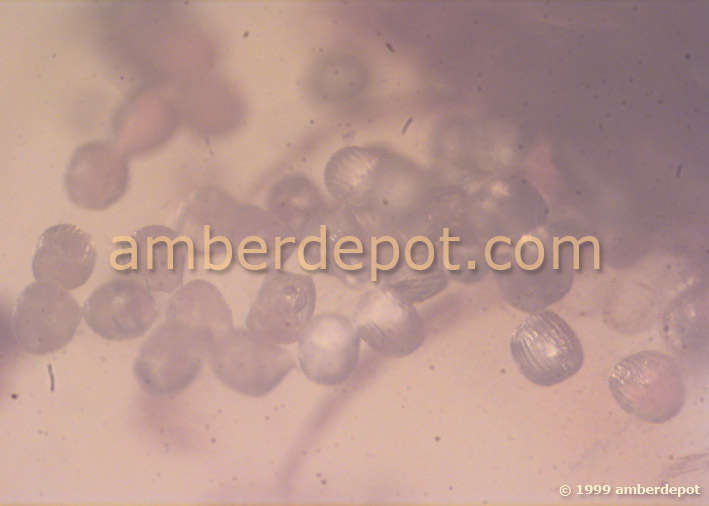 16x11x5mm).